Making the decision to replace vendors functioning in any part of your revenue cycle is BIG. A lot is riding on uninterrupted operation in this area, particularly when it comes to the operations performed by your EDI clearinghouse vendor – the company responsible for facilitating claim submission and therefore reimbursement. In light of recent reports suggesting that administrative costs in healthcare today are “astonishingly high,” the pressure is on to reduce spending while increasing value. The top two business spend issues causing leaders to be concerned or very concerned, according to a HealthLeaders Media Buzz Survey, were process inefficiencies and thinning margins. Working with a premier EDI clearinghouse can help you improve in both of those areas—so a switch can certainly be worthwhile. 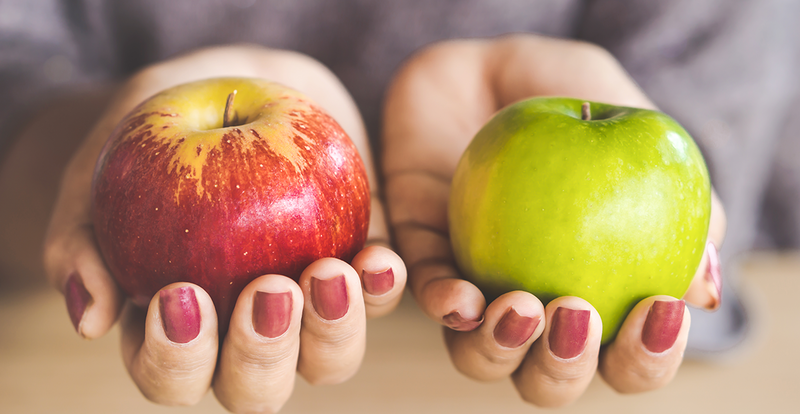 But once you’ve made the decision to make a move, perhaps breaking free from clearinghouse constraints that may have held you back, how do you make an equitable, apples-to-apples comparison to determine which vendor will be the best fit as partner for your organization? Some organizations employ an RFP (Request for Proposal) process in their attempt to fairly compare different vendors on a defined set of criteria to create a short list for deeper evaluation. This process is mandated by law for some, due to the financing model of the entity; e.g. for government-owned facilities who must prove on a regular basis that they have selected the most cost-effective solutions. However, an RFP process is a costly one in terms of resource required to write the RFP, manage the receipt of responses, read all the responses, and fairly judge each against one another. Other entities will very effectively rely on the judgments of industry analysts to identify the top performers for your short list. These analysts, using standard criteria and methodology, have accomplished a significant amount of work for you, allowing you to hone in more quickly on the particulars related to your organization’s needs. KLAS Research has earned its spot at the top of any list of industry analysts, “providing accurate, honest, and impartial insights for the healthcare IT (HIT) industry since 1996.” Their mission is “to improve the world’s healthcare by amplifying the voice of providers and payers.” Each year, KLAS publishes easily-consumable reports, such as the annual Best in KLAS: Software & Services issue that names the top performers across numerous market segments. Quadax has been named #1 for Claims Management in the Best in KLAS: Software & Services report two years running—2018 and 2019. But apart from a number-one rating and a raw numeric score, what can this rating tell you about how well Quadax, or any company, would perform as your organization’s partner for revenue cycle optimization? You may find new letter grades helpful: beginning this year, KLAS features letter grades as performance indicators to help provide better context and transparency for vendors evaluated in the Best in KLAS report. These scores are meaningful, since KLAS scores are based on the reports of real-world experience with each vendor by their customers. Six key categories are graded: Culture, Operations, Product, Relationship, Value, and Loyalty. Each category reflects a number of key questions in the standard KLAS interview. For example, one measurement of Culture is the range of responses to queries about proactive services. Another is whether the vendor keeps their promises. One example measuring Loyalty: would the provider choose that vendor again? For Value: does the product drive tangible outcomes? In the 2019 KLAS letter grades, Quadax earned As across the board: A for Culture, Operations, and Value, A- for Product and Relationship, and A+ for Loyalty. Do they conform to the highest standards of compliance and security? Is their approach generally to fit a provider to a solution, or to fit a solution to a provider? Are they able to come through in a crunch, when unexpected factors change a timeline or a deliverable expectation? Do they readily and transparently communicate with clients both good news and bad news? Has the firm demonstrated longevity and stability – can you count on continuing, year to year, with the same company you initially engage with? Do they remain engaged long after implementation to ensure continual process improvement? Do they have a well-structured organization for service delivery and issue resolution? In the end, the vendor that’s right for you will be a good fit in areas of technology, expertise, and culture, with a track record of meeting the specific needs of healthcare providers like you. When these characteristics have been part of your equitable, apples-to-apples vendor assessment, you can be confident that you are entering a mutually-beneficial partnership with staying-power. Quadax has a proven track record of implementing customized solutions and helping providers exceed their revenue cycle goals. Let us help you in your assessment – contact us today!